Not only are they commemorated by columns and inscriptions, but there dwells also an unwritten memorial of them, graven not on stone but in the hearts of men. Memorial Day is almost over, and I’m finally getting to my Monday blog post — so this will be short. (I guess I should have written it ahead of time!) I’ve just returned from my son Charlie’s college graduation. He’s now on a cross-country road trip, starting in Ithaca, New York and ending in San Francisco. 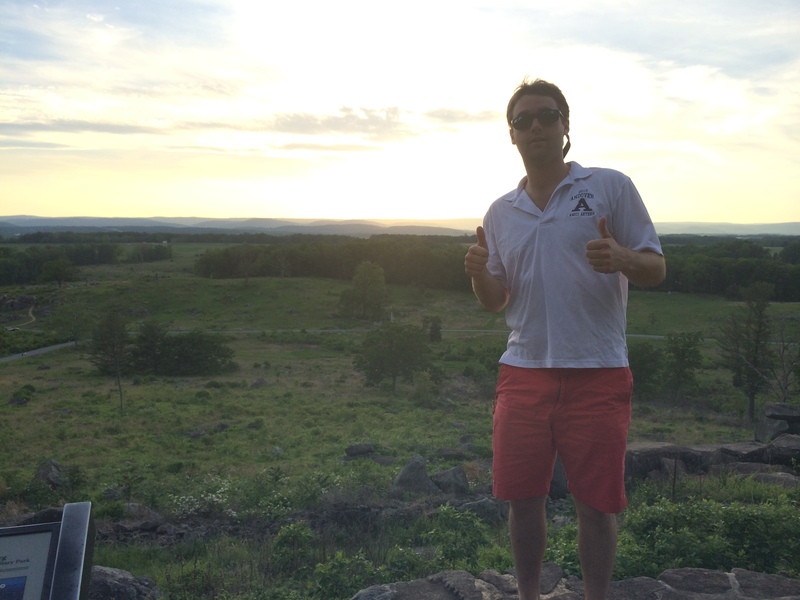 His first stop was Gettysburg, where he saw as much of the battlefield and monuments as he could until the sun set. To coin Lincoln’s phrase, it seems “altogether fitting and proper” that Charlie visited Gettysburg on the day that has been set aside to honor those who died while serving in our armed forces. 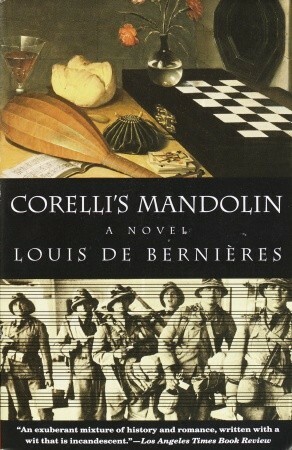 Corelli’s Mandolin (Louis deBernieres) There’s just a touch of magical realism in this lovely novel about a Greek island that’s occupied by the Italian army during World War II. City of Thieves (David Benioff) During the siege of Leningrad, two Russians must carry out an impossible task — or face execution. Birdsong (Sebastian Faulks) A young Englishman falls in love with a married French woman during a business trip to France in 1910; they meet again, during World War I. I read this for the first time about 15 years ago, and have never forgotten the vivid scenes of trench warfare, or the love story. 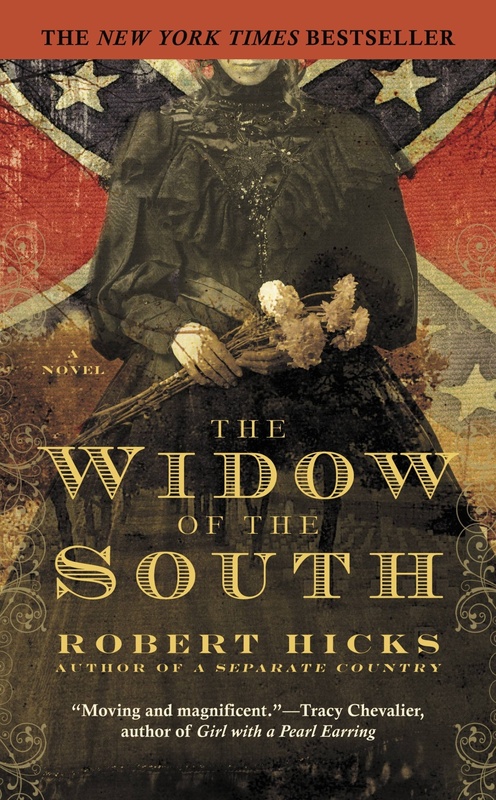 The Widow of the South (Robert Hicks) Based on the true story of Carrie McGavock, who tended the graves of the 1,500 soldiers buried on her family’s land. We visited the actual site in Franklin, Tennessee last fall. A Very Long Engagement (Sebastian Japrisot) A French woman who doesn’t believe her fiancé was killed in the First World War embarks on an investigation and discovers the corrupt system the French government used to deal with soldiers who tried to avoid combat. I’ve read very little fiction about the more recent wars. On my list are Matterhorn by Karl Marantes (Vietnam), The Yellow Birds by Kevin Powers (Iraq), and Redeployment (Iraq and Afghanistan). I read Sparta by Roxana Robinson, about Conrad, a young veteran returning from Iraq who has difficulty readjusting to civilian life. Conrad is a classics major at Williams College from an upper-middle class (and decidedly unmilitary family) from suburban New York City. When he comes home suffering from PTSD, his family is too bewildered to offer any meaningful help. 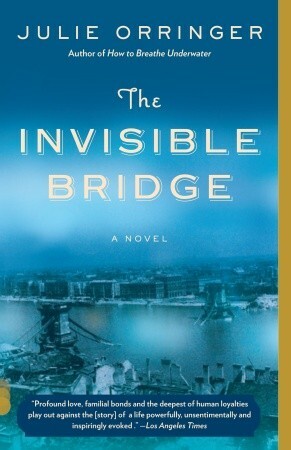 The book was insightful in many ways, but I couldn’t fathom the idea that a family like Conrad’s would abandon him to the bureaucracy of the VA.
Our next national holiday is July 4. I plan to read a contemporary war novel by then and let you know what I think. If you have any other suggestions, I’d love to hear them. Book Clubs — Women Only? A long time ago in a galaxy far, far away (before email existed), my husband and I and another couple decided to form a coed book club. We thought we would start with just the four of us, to see how it went. The first task, of course, was to choose a book that all four of us would enjoy and that would inspire a good discussion. The two men went out for a weekday lunch, and my husband came home that evening and reported that they had decided on The Razor’s Edge by Somerset Maugham. I was impressed that the two men had stepped up to the plate and made a decision, and started reading the book right away. Several weeks later, when our friends showed up at the door for dinner and our book discussion, I thought it was strange that John was dressed as a cowboy and was carrying a can of baked beans. I remember thinking that most people bring wine, but that canned beans certainly were a more creative hostess gift. I got my legal pad with discussion questions, made sure everyone was settled with a cocktail by the fire, and jumped right in to the discussion. How did the war affect the characters in this book? What was the role of religion in the book? What was the author critiquing in both American and European society? Our friends had nothing to say in response, and in fact, looked a little confused. I think they finally said something about the pioneers who settled the American West. At that point, I had to say what we were all thinking: “What book did you two read?” Well . 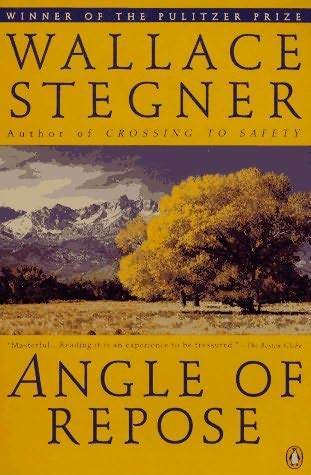 . . it turned out they read Angle of Repose, by Wallace Stegner. (By the way, one of my favorite books!) We’re still not sure how the men walked away from lunch with two very different ideas of what book they had chosen! Many book clubs, including my own, have a special couples’ meeting once a year where men are invited. This usually involves much debate about what book will appeal to both genders and lots of emails about the date, location, and dinner menu. The books chosen tend to be nonfiction or historical fiction — The Absolutist (John Boyne), The March (E.L. Doctorow), The Devil in the White City (Erik Larson), Shadow Divers (Robert Kurson), The Healing of America (T.R. Reid). We’ve had some great discussions, and some so-so discussions . . . just like any book club meeting. In Karen Joy Fowler’s wonderful novel, The Jane Austen Book Club, the book club consists of five women and one man. (The man, Grigg, is a science fiction fan who has never read Jane Austen and is coerced into the group.) I can’t imagine many coed book groups reading Jane Austen . . .
There’s a website that sells book club themed paraphernalia (T-shirts, mugs, tote bags, cocktail napkins). These items feature slogans such as “My drinking club has a serious book problem”, “Read between the wines”, “I love book club — good friends, good books, good wine”, My favorite item is a pair of MEN’S shoes that are embroidered with the saying, “My book club can drink your book club under the table” (http://www.cafepress.com/+bookclub5_x_7_mens_shoes,928979346). I’m not sure what the market for those is! Maybe women with large feet? Sometimes it’s fun just to chat. Finally – all book clubs – no matter how serious, entail some chit chat. And that’s just how it should be. Whether or not you’re in one that’s all-women – as seems to be the norm – or contains “the male element” (as someone ominously referred to men recently…yikes! sounds contagious!) we all thrive on friendship as we grow older. And book clubs are a great excuse to make and keep friends. No excuses needed! Enjoy your book club and the friendships it fosters. Book-club members who have actually read this book have called its plot “depressing,” “disgusting,” and “too much about poor people.” Does this suggest that you, as a reader, have a moral obligation to say that you liked the book? On page 2, the author refers to “supper.” In books, food is often used as a symbol. Try to think of a time when food, or a particular meal, has been important to you. Then keep it to yourself.